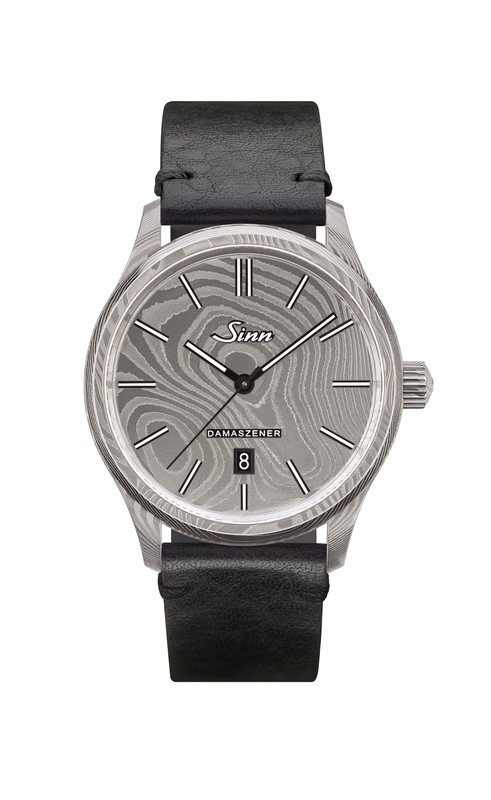 The Sinn 1800 S Damaszener ist made of Damascus steel. 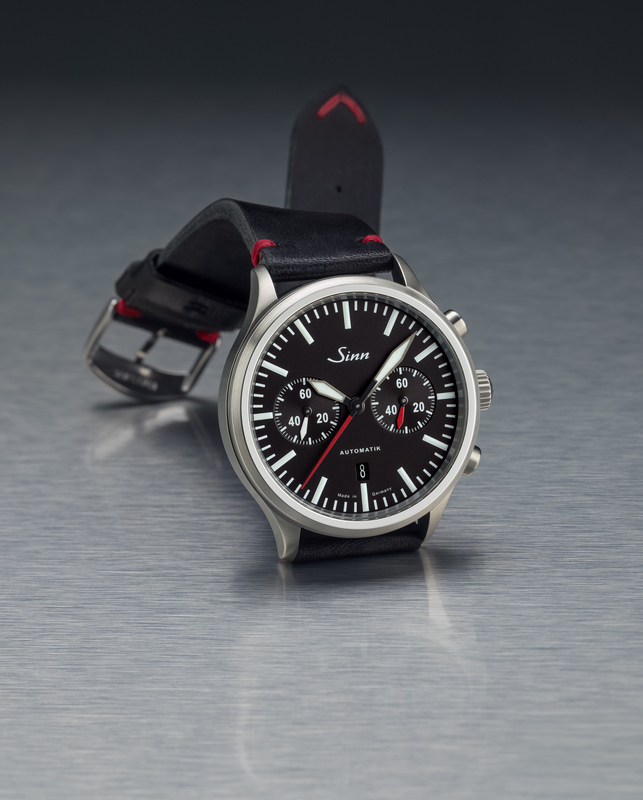 In the Sinn Spezialuhren functionality defines design and innovative technology is always at play. 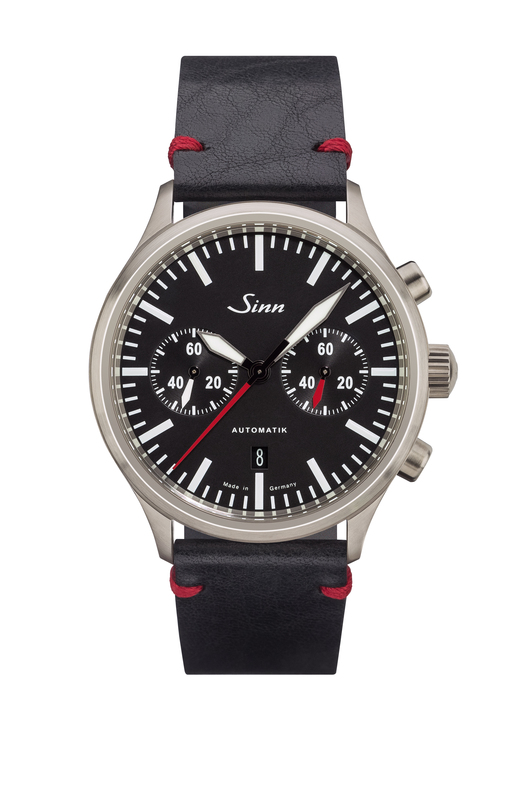 Since the establishment of Sinn in 1961 the manufacturer focused continuously on high-quality mechanical watches combining a tradtional sense of quality with advanced solutions. 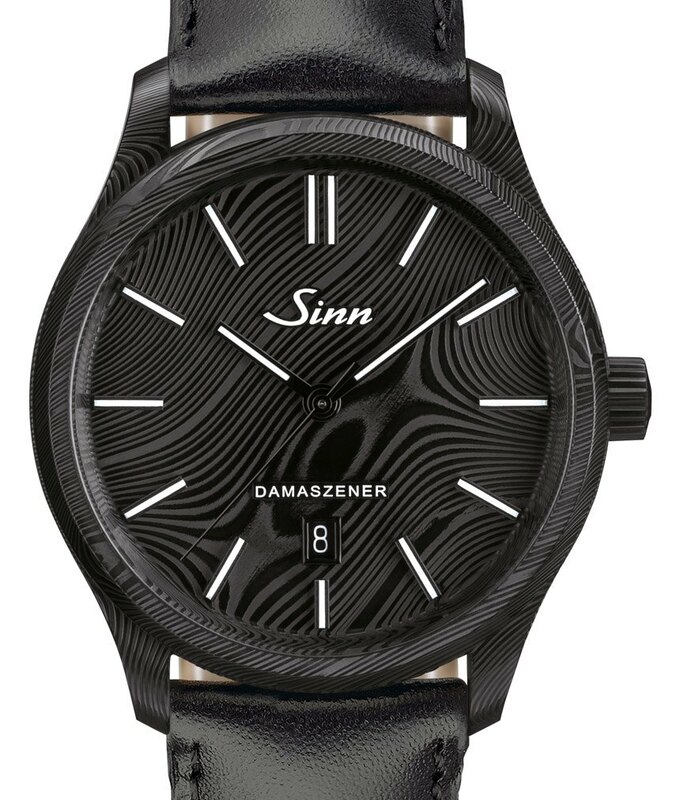 This has repeatedly resulted in the use of totally new watchmaking materials; in 2005 Sinn used German Submarine Steel in diving watches. The 1800 S is made from Damascus steel a material, that has fascinated humankind for centuries. It gained its legendary reputation above all in the making of swords, knives and blades. Damascus steel is a combination of at least two different types of steel, layered to create the aforesaid surface design. The traditional art of making Damascus steel is very elaborate and portrays a unique blend of craftsmanship application. 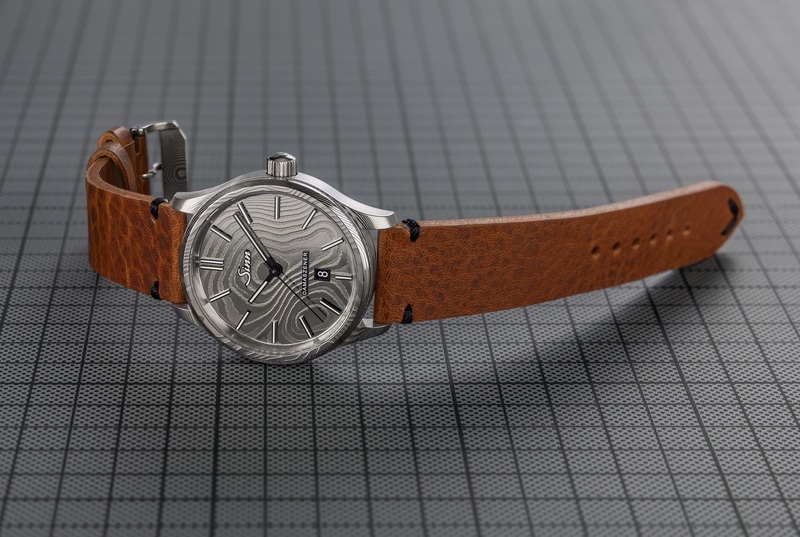 The watch thus displays a uniqueness that is immediately reflected in its design and appearance. 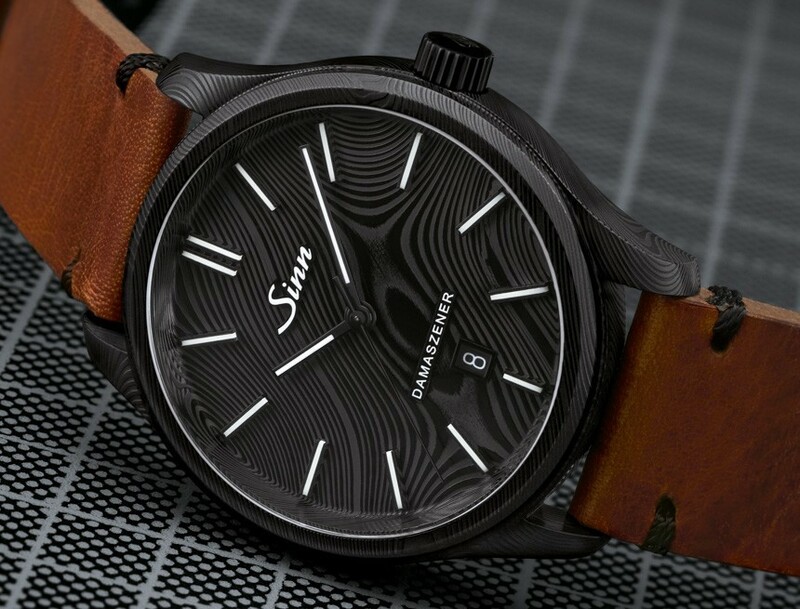 In order to bring the characteristics textures of Damascus steel to the fore – an organic pattern of alternating brands of light and dark – the dial and central part of the case are forged from a complete steel block rather than designed as separate components, as is customary. The result is rather remarkable: for the Damascus pattern on the dial continues across the entire case to create an impressive whole. Thanks to the use of Tegiment Technology and the application of an additional Black Hard Coating. The case is 43 mm in diameter. 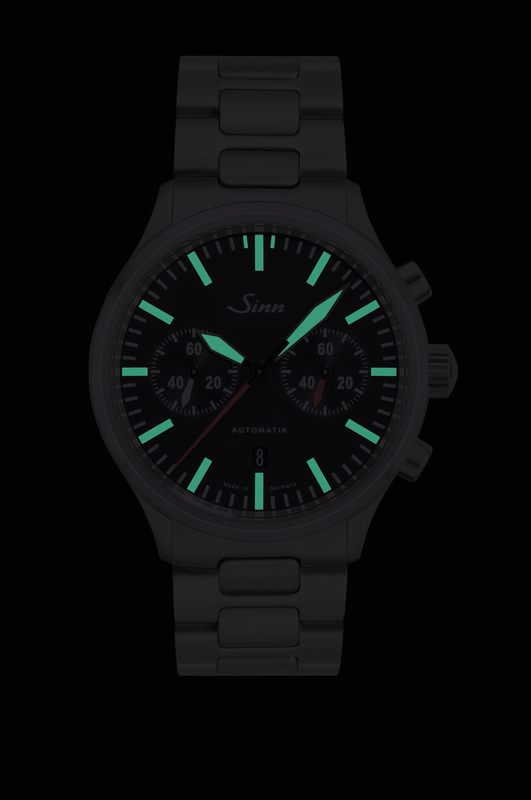 In order to keep the dial clean and simple the Sinn 1800 S Damaszener only shows hours, minutes and seconds, and the indices are made from 13 meticulously appliquées, each one coated with luminescent colour, like the hour and minute hand. The date-window on 6 o’clock is conveniently small. 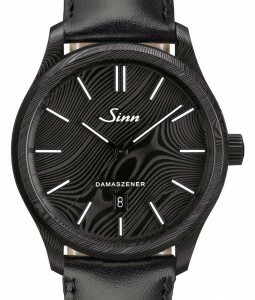 The dial is protected by a sapphire crystal glass with anti-reflective coating on both sides. The watch is powered by the mechanical movement ETA 2892-A2 with self-winding mechanism and 21 bearing jewels. The movement is shock resistant and anti-magnetic.